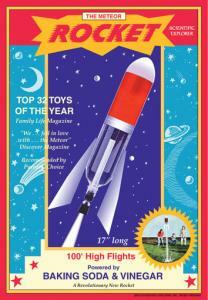 Flip Out Mama: Holiday Gift Guide: Giddy Up Toys review and GIVEAWAY!!! Holiday Gift Guide: Giddy Up Toys review and GIVEAWAY!!! Okay, yall. So when it comes to Christmas, I am a big giant kid. I honestly think the holidays are more fun now that I am the mommy than when I was a kid. It gives me that same butterfly excited feeling in my tummy as when I was a little girl, and I am just as excited as my boys are! I am always on the lookout for unique and awesome toys for the boys for Christmas. I mean, they ask for stuff (well, just Tater asks right now lol) but it is always fun to find them something that they didn't specifically ask for that you know they will love! And Giddy Up Toys has exactly what I need!! I had no idea just how many awesome products Giddy Up Toys were behind!!! They have a ton of toys for creative play and scientific play. They also have a great selection of hands on science activities. These are the types of toys I love to buy for Tater, things that will actually engage him, rather than just pacify him! I was also extremely impressed and surprised that Giddy Up Toys has an entire line of baby toys, perfect for The Bean's First Christmas! Volcanoes are one of the most awesome forces found in nature. When they erupt - watch out! They can shoot rocks and gases miles into the air and their lava flows can outrace a speeding car. Let's try that at home! In this kit, you'll find everything you need to create an amazing volcanic blast. You'll cause your own eruption and watch the lava blow! Plus you'll learn some really cool science that explains how volcanoes form and why they explode. Volcano can erupt up to 10 times! 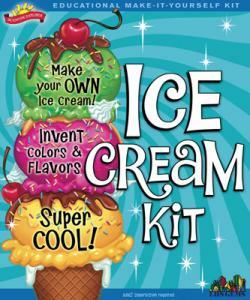 Includes plaster, baking soda, citric acid, red food coloring, 1 measuring cup, 1 measuring spoon, 1 stir stick, 1 volcano mold top, 1 volcano mold base, 1 volcano stand, and activity guide. I mean come on~ something that can EXPLODE up to TEN times?! We are talking major winner here for my kid!!! The next item we got to review was an item that Tater has been seeing in TV commercials, and asking for for awhile now. These little cuties are Fuzzoodles. And if you watch TV, you know what they are!!! Giddy Up™ is thrilled to introduce Fuzzoodles™, the kookiest new category of fun to hit toy-store shelves this year. A unique combination of arts and crafts and construction toys, funky Fuzzoodles is the perfect find for boys and girls who want to have fun. 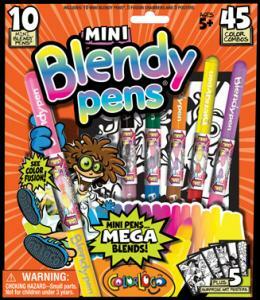 Fuzzoodles combines colorful, bendable and BIG fuzzy noodles – Fuzzoodles -- with wacky features like crazy eyes and toothy smiles, along with cool accessories such as a bowtie and a purse. Kids will have a blast putting them all together to create a cast of adorable, fluffy Fuzzoodle characters. These characters can stand alone as playthings, or kids can make them into bracelets, decorate pens and headphones with them, and much more. All the accessories are interchangeable and the design possibilities are limitless. Since no two creations are quite the same, kids can make oodles of reusable Fuzzoodles! The end result: the coolest, custom-made characters on the block! What makes Fuzzoodles so special? 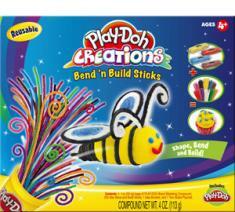 Unlike any other toy, they combine the best of two worlds – crafts and construction. Like a great arts & crafts project, they invite children to develop their own designs. Like the best of construction toys, they help strengthen youngsters’ skills. I love the idea behind these little guys! Me and Tater just couldn't wait for Christmas so we went ahead and got to work with our Fuzzoodles! They are so cute! It took Tater a little while to get the hang of it, since they are designed for kids a little older than him, but once he caught on, it was good times from there! I totally recommend Fuzzoodles. They made for a great family activity, and I even found myself playing with them again while I was watching the news.. .alone! LOL... I love giving gifts like these, since it gives kids (and their families) something to actually do instead of being something to just sit on a shelf and collect dust! 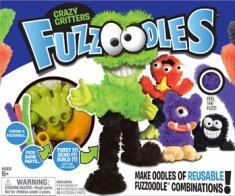 I totally anticipate Fuzzoodles being the hot Holiday toy this year! If you wanna get in on the action, you're in luck! The awesome folks at Giddy Up Toys are giving away one of each of the kits I reviewed to a lucky Flip Out Mama Reader!!! 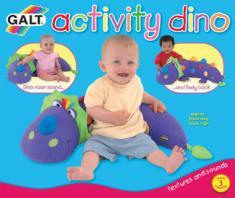 Go HERE to the Giddy Up Toys website. Come back here and leave a comment letting me know another product they have that you think is awesome! Blog about this giveaway, Tweet about it, post it on facebook. Leave a link to this giveaway. Then leave five comments here letting me know where u posted. You can do this entry method once per day, making u eligible for 5 extra entries per day! 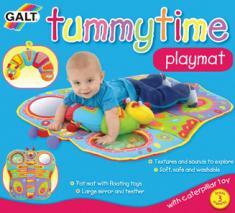 And A BIG THANK YOU To Giddy Up Toys for allowing me the opportunity to work with you guys! I received a product in order to conduct this review. Although a product was received, all opinions are my own and no monetary compensation was given. I like the disney princesses paint by number kit. The folding trampoline looks super fun! I love the Knit a Teddy Activity Pack. 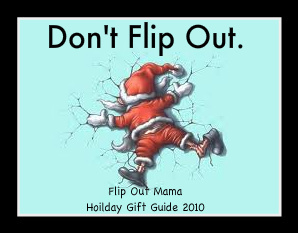 I like Flip Out Mama on Facebook. I love the pizza activity kit. Following Giddy Up Toys on twitter. I like the Magic Wand kit! I like the Mosaic Art Large Kit. 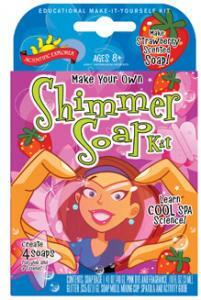 My daughter would LOVE the Spa Science Kit. I would get the Charm Bracelets for my niece...thanks for the chance to win! I like the knit a teddy activity pack.Thanks for the chance. I have a very crafty girl and this site is a perfect shopping spot for her. She loves Pet Shop kids and Littlest Pet Shop Paint By Number Envelope would be a wonderful way to have her show off her skills! The Dotzas look like something my daughter would love. Thanks! I also really like the SprayZa airbrushes! Thanks for the great giveaway, these products looks like a ton of fun! I entered your Spin N Go Mop giveaway, thanks! I want to get my kids the Ultimate Crystal Growing Kit.I really think it would be great to use in our homeschooling activities.Thanks! I love the myth busters kit for my son!! I would like the surprize ink. 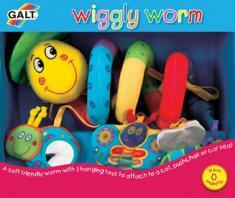 Great review,cute toys!! I found a lot of fun things on their site. I think the Pamper Your Dog Kit and Fun With Your Cat kits are cute! The Rocket Car looks fun! I like the Toy Story 3 Marker By Number Box Kit. Gosh we'd love and enjoy that volcano!! 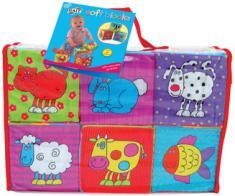 I also like their Knit a Teddy Activity Pack! I checked out the Giddy Up toys site and I also love their SprayZa Airbrush system, my kids want it! My son would love the Mythbusters Kit. Great fun! I am your fan on fb as Lyndsey Rullman. I liked Giddy Up! on fb as Lyndsey Rullman. I am following Giddy Up! on Twitter as lyndsey1stunna.